Pisang Peak Climbing, Pisang Peak 6476m. Pisang Peak 6092 m. rises above Pisang village and lush green Yak pastures in a uniform slope of ice and snow to the final pyramid like summit. 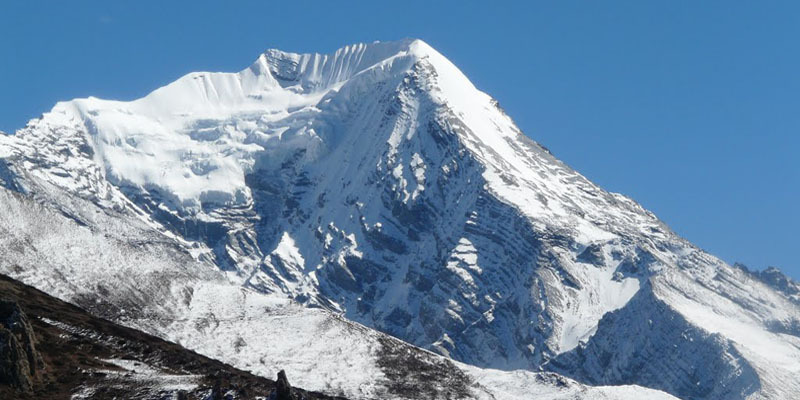 Pisang peak is considered one of the easier climbing peaks among the trekking peaks of Nepal. 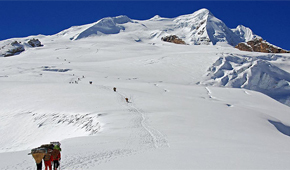 To reach the base camp from Pisang village, the path ascends through sparse forested areas and pasturelands to Kharka (4380m), which is considered the ideal place for setting up Base Camp. 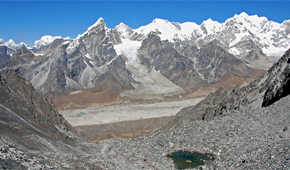 High Camp is set up at 5400m, after climbing to a shoulder on the South-West Ridge. There is snow at the high camp from the end of November to the end of March. 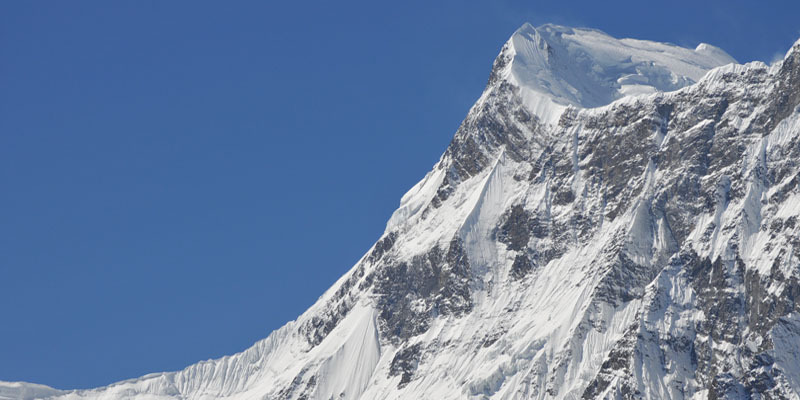 The well-defined ridge leads to the final snow slop, which is quite steep, however, it is not difficult to reach the summit. The descent is made along the same route. 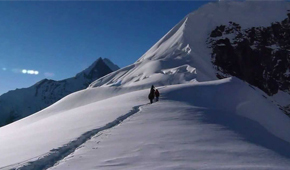 Although this climb is considered to be among the easier ones of the Himalayan region, a reasonably high level of physical fitness and health is still strongly recommended. 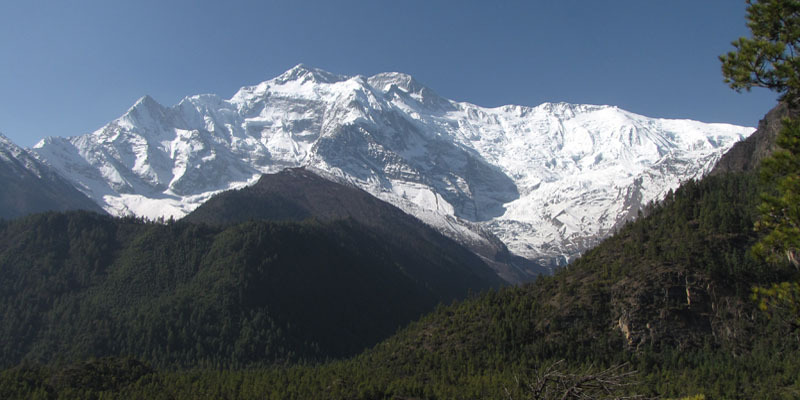 A technical section takes you to a place from where you can catch the entire panorama of the Annapurna Range. 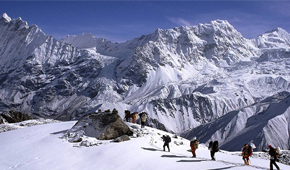 The trail then ascends from the Manang valley to reach the top of the Thorong Pass at 5416m. After this you have a chance to visit the famous temple of Muktinath (3802m). The final part of the trek takes you to Jomsom from where a flight transports you across the great Himalayas to Pokhara. Day 1: Arrival in Kathmandu. We will meet you at the airport and transfer to Hotel. Evening dinner in neplease kitchen. Day 2: Katmandu to Besishahar-Nadi by Bus. Day 8: Rest and Acclimation in Base camp. Day 17: Jomsom to Pokhara by flight . Day 18: Pokhara to Kathmandu by Torust Bus. Day 19: Departure from Nepal As per your time. Flight Ticket (LUKKTMLUK) / domestic airport Tax. Trek arrangements with tents, cook and porter/s. NMA Registered Climbing Guide for trek and climbing. All Food in Kathmandu. also in the case of early return from mountain ( due to any reason) Than the scheduled Itinerary.